What Is A Certified Master Chef®? Chef Leonard is an award-winning chef, culinary gold medalist, prolific author, and international lecturer. He is an accomplished industry leader with a Masters in Cookery from the ACFEI/Culinary Institute of America. He received an Honorary Doctorate in Culinary Arts from Johnson and Wales University and an Honorary Doctorate in Hospitality Management from the International Facility Management Association. He has extensive culinary experience as a restaurant executive chef, manager, and owner. His international culinary studies and apprenticeships include training in Italy, Holland, England, France, Spain and Singapore. An avid competitor, Chef Leonard has led the American Culinary Federation’s Team USA to five championships and over 34 gold medals. He has personally won over 50 gold medals in international competition, and is one of only a handful of chefs to win gold in every available category. 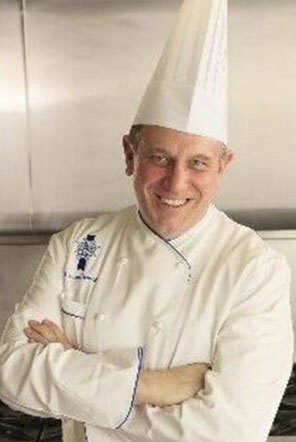 Chef Leonard has published eight books on a wide range of culinary subjects including Taste and Tales of a Chef; Guide to Culinary Competitions, Cooking to Win; Cooking with America’s Championship Team I and II; Private Club Cuisine; You Eat With Your Eyes; and The Essential Book of Modern Buffets.